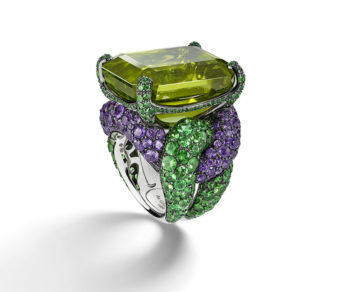 Maison de GRISOGONO Melody of Colours Fine Jewellery Creations. When a woman chooses ornamentation, there would be many reasons behind the decision. Is she marking a significant milestone? Is she honoring a personal achievement? Is she commemorating a special person? All of these are wonderful reasons to seek out the special piece. And sometimes, no one knows the reason but the woman herself. It can be a private emotion with a public expression, but all others see is that dazzling piece of jewellery. 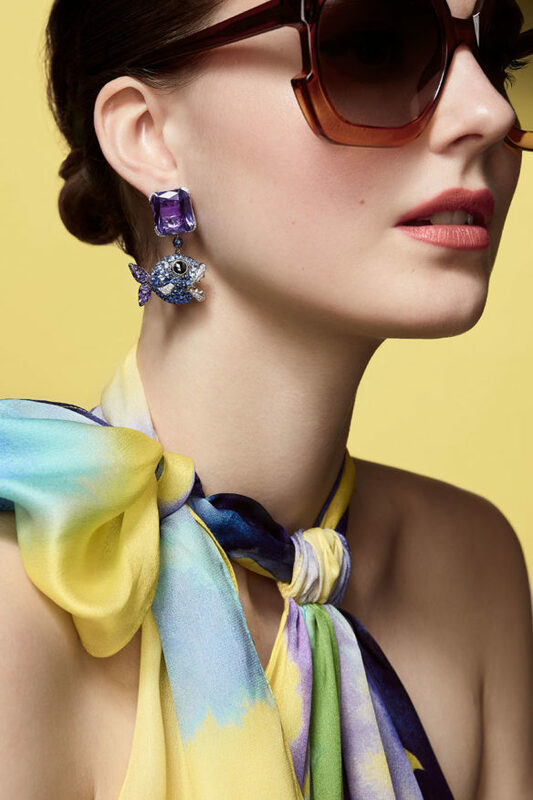 For the woman that wants to choose from dazzling, free-spirited yet amazingly-crafted pieces, she need look no further than the Maison de GRISOGONO. The pieces are indeed works of art, and you’d be hard-pressed to limit your purchase decision to merely one piece. 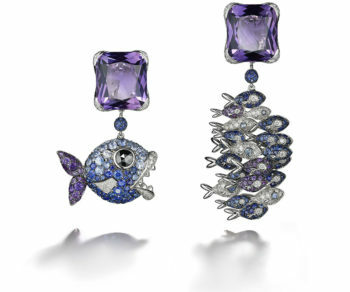 The masterful craftsmanship is exquisite and the pieces look like sculptures, unique and expressive. 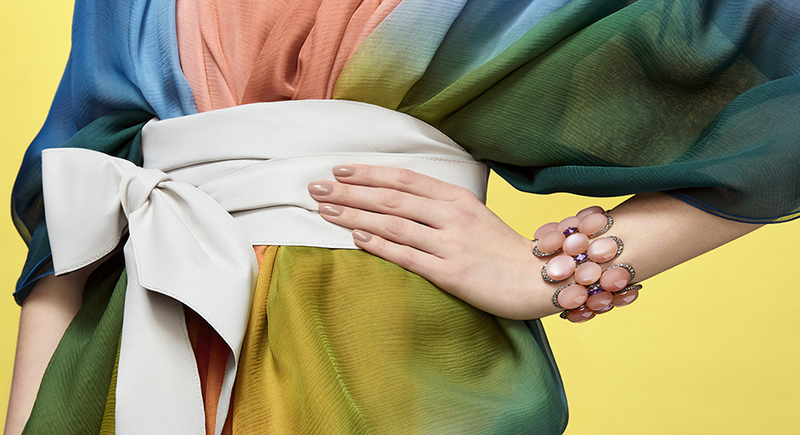 And vibrant colors and combinations of stones are inspired. Inspired by the sweetest melody that Nature herself has given us, the Maison presents to us their Melody of Colours Fine Jewellery Creations. All this magic is thanks to Fawaz Gruosi and his vividly colorful imagination. He sees no boundaries where others have set them, and his creativity shines with each piece. 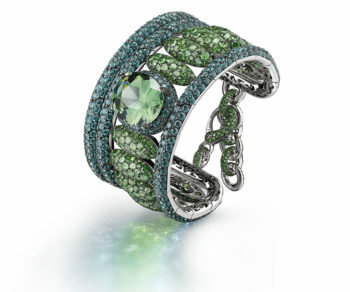 Some pieces, such as the dazzling ring featuring gemstones in two different shades of blue, focus on one color in different shades. 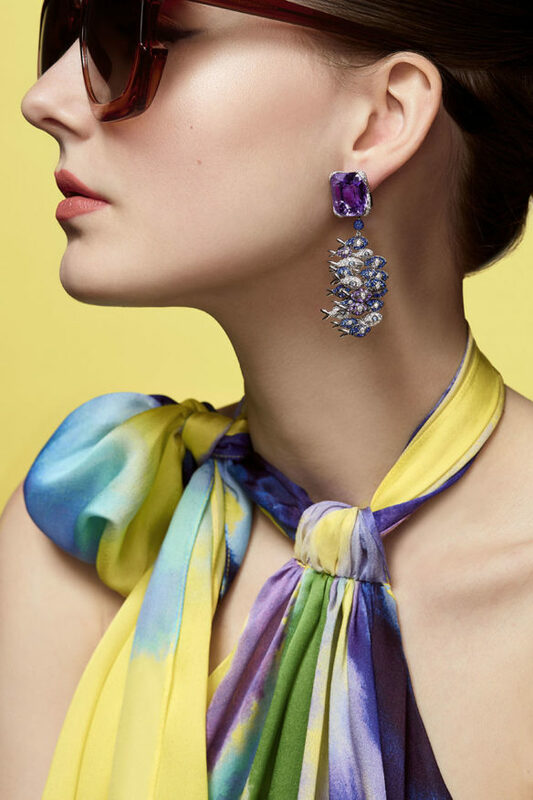 Others are pure majesty in the color combination and expression of nature, such as fan-shaped earrings in ethereal green and pure purple. 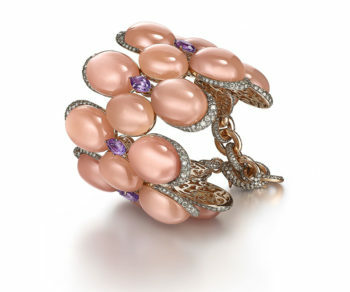 There are some designs that are so exceptional, they deserve interpretation in more than one color palette: the ring that looks like a flower just beginning to bloom can be had in a light pink version, or a simpler yet no less impressive white and green version. The pendants and necklaces are also available in different color palettes, all the best to flatter the woman. 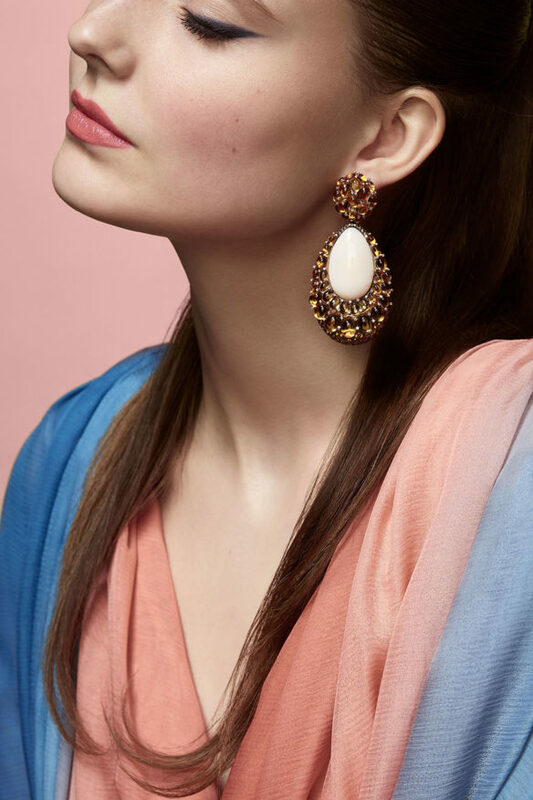 The color combinations are playful and elegant – brown diamonds set with rubies and citrines, opals alongside emeralds and sapphires, coral and sapphires as if the sea joined the sky. The possibilities are endless and daring. It would be challenge to walk away with only one piece chosen, a challenge any woman would be willing to lose.